Founded in 2011, Baofu Internet Technology (Shanghai) Co., Ltd., with registered capital of ￥550 million, was granted the Payment License by the People's Bank of China and successfully renewed it in 2016. In 2017, Baofu was approved by State Administration of Foreign Exchange to do Cross-border Payment business. 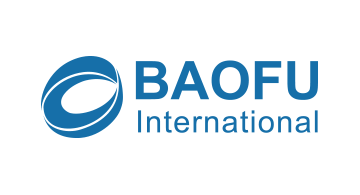 Baofu International provides services such as domestic collection & payment, and cross-border payment for clients in the fields of cross-border E-commerce, airlines, tourism, overseas education and logistics, and also provides cross-border collection for Chinese export sellers on famous international E-commerce platforms such as Amazon and Wish, to solve clients’ problems of difficulty of application for offshore bank accounts, management of a number of stores on multiple platforms and slow withdrawal. Baofu aims at providing clients with a full range of services, helping them manage funds and customizing financial solutions. The market scale of Baofu has remained increasing in recent two years. In 2017, the trade volume in a year has reached up to ￥1,500 billion. With a market share of 6.82%, Baofu ranked the fourth in the third-party online payment industry in the first quarter of 2018.